While the world waits patiently to see if Norway will join Oklahoma City [Whoops! and Virginia Tech! and Columbine!] in the modest panorama of non-Islamic terrorist atrocities (thereby doubling the size of the panorama), Glenn Greenwald is getting out in front with a predictable gambit: Blame America First. Still, I can’t help noticing, and being quite bothered by, the vast difference in reaction to the violence visited on Western nations such as Norway and the violence visited by Western nations (particularly our own) on non-Western nations. The violence and indiscriminate death brought today to Oslo is routinely and constantly imposed by the U.S. and its closest allies in a large and growing list of Muslim nations. On a weekly basis — literally — the U.S. and its Western allies explode homes, mangle children, extinguish the lives of innocent people, disrupt communities, kill community and government leaders, and bring violence and terror to large numbers of people — those are just facts. And yet a tiny, tiny fraction of attention, interest and anger is generated by such violence as compared to that generated by the violence in Oslo today. What explains that mammoth discrepancy in interest, discussion, and media coverage? What explains the discrepancy? The false premise explains it. The difference between “collateral damage” — an ugly but accurate term — and the deliberate targeting of random innocents explains it. 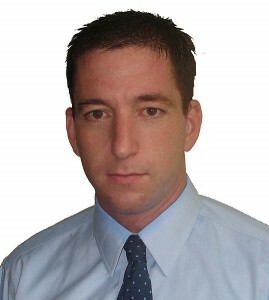 The other thing that explains it is that unlike Greenwald, most people in our society are, ya know, on our side. An Xtranormal animation of two co-workers arguing in the break room highlights the differing standards by which Presidents Obama and Bush have been judged regarding their interventions in Libya and Iraq. The deadpan delivery of the computer-generated voices adds a humorous edge. It’s 5:04 minutes well worth watching. It’s like I’ve emerged from a coma into a parallel universe, where the United Nations takes a leadership role in a crisis, and the French — the French! — back up their stern words with military action. Where was this United Nations in 2003, when the time came to enforce 17 stern resolutions against an even badder bad guy? A week ago, I wrote “the chance that this Administration will intervene militarily is close to zero.” It didn’t even occur to me to lay odds on the likelihood of action by the UN and the French. I guess I’m going to have to stop snarking about the “Freedom doors” that divide my church’s parish hall. In that prior post, I quoted an Eliot Cohen op-ed that said “the lesson of decades is that NATO and the United Nations find it impossible to act without American leadership.” Are we going to have to learn a new lesson? I have been critical in recent days of President Obama for lack of leadership on Libya but I part company with some of my colleagues on this blog in that I sense this is changing. 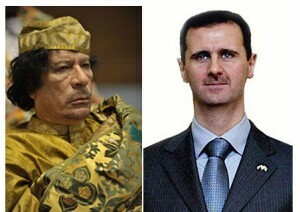 True, he waited for the UN Security Council to come together before acting in Libya, thereby losing vital time. But the legitimacy the UN confers should not be underestimated—much as it may pain me (and other critics of the UN) to admit it. Having the Arab League on board is also a plus. 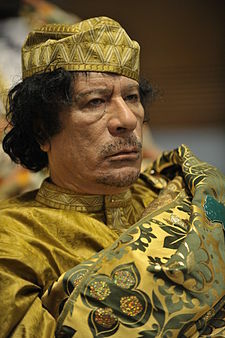 There is even talk that Qatar, UAE, and Jordan may participate in a military campaign against Qaddafi—good news if true, although, as autocracies (if relatively benign ones), they are hardly shining exemplars of the “new Middle East.” Most important of all, France and Britain appear prepared to take on a major part of the military burden. All in all, I give Obama credit for assembling an impressive coalition, and avoiding a Russian or Chinese veto at the Security Council. The question is what he does with the authority of Resolution 1973. “He” — Obama — may or may not do anything. But the French have stepped up, and given the reality of a war-weary America, that seems like a very positive development. Update: Just a few hours later, it seems like the U.S. is back in the driver’s seat, although the game plan seems to be to put the French and British in charge once the Tomahawking is done. Meanwhile, I wish I had come up with this brilliant headline: “Nobel Peace Prize Winner Enters Third War” (via Instapundit). I’m sympathetic to the idea of a no-fly zone in Libya, to reduce the regime’s firepower in suppressing the uprising. But while Obama has escalated in Afghanistan and declined to follow through on his campaign promise to surrender in Iraq, it’s hard to imagine this administration starting a brand new war. And enforcing a no-fly zone is an act of war, regardless of whether it begins with the bombing of air defenses. Even if we had a more hawkish President, there are meritorious arguments against establishing a no-fly zone. It might not be enough to bring down the regime — and then where are we? Do we consider sending in ground troops? Other than regime change, under what circumstances could we honorably discontinue the no-fly zone? Do we keep enforcing it for a decade or more, as in Iraq in the 1990s? Instead of seizing the opportunity, the administration made cumulative mistakes. It was slow in insisting that Gadhafi had to go—but is now committed to that end, exposing itself to humiliation if he does not. It allowed the Pentagon to publicly disparage military measures, reassuring Gadhafi and dispiriting the rebels, when a discreet and menacing silence would have done far less harm. It called for an international effort when the lesson of decades is that NATO and the United Nations find it impossible to act without American leadership. 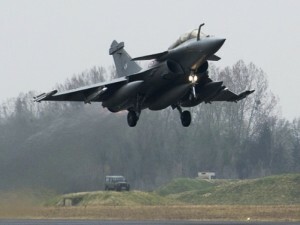 And when the French government showed strategic initiative and pluck, it undercut a major ally. The moment has passed. The only question now is whether Gadhafi goes slowly, over months, or not at all. Senior American intelligence officials inconveniently observed the other day in front of Congress that the latter seems the likely outcome. What will happen if they are right? Good question. This blog is dedicated to the premise that “all that is necessary for evil to triumph is for good people to do nothing,” and on that basis my natural inclination is to intervene in Libya. But while America is by far the most powerful country in the world, it is not omnipotent, and does not have infinite military and economic resources. We should stand against evil, but we can’t prevent every evil. If we did supply the rebels, who exactly would be receiving our money and munitions? Libya’s internal politics are opaque, to put it mildly. But here’s one disquieting data point, courtesy of the Center for a New American Security’s : Eastern Libya, the locus of the rebellion, sent more foreign fighters per capita to join the Iraqi insurgency than any other region in the Arab world. And if the civil war dragged on, what then? Twice in the last two decades, in Iraq and the former Yugoslavia, the United States has helped impose a no-flight zone. In both cases, it was just a stepping-stone to further escalation: bombing campaigns, invasion, occupation and nation-building. None of this means that an intervention is never the wisest course of action. But the strategic logic needs to be compelling, the threat to our national interest obvious, the case for war airtight. With Libya, that case has not yet been made.